It’s always worth nothing when a character’s name is included in the title of a film but isn’t featured extensively within it. “Rachel Getting Married,” for instance, centers far more on her sister’s attendance at her wedding than on Rachel herself. That doesn’t mean that the title-referenced character is unimportant, but merely that someone else’s experience has a big effect on her life, or the other way around. 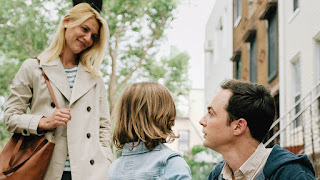 “A Kid Like Jake,” adapted from the 2013 play of the same name that doesn’t feature the kid at all, is much more about how Jake’s parents must confront the world for him than how he himself greets it. 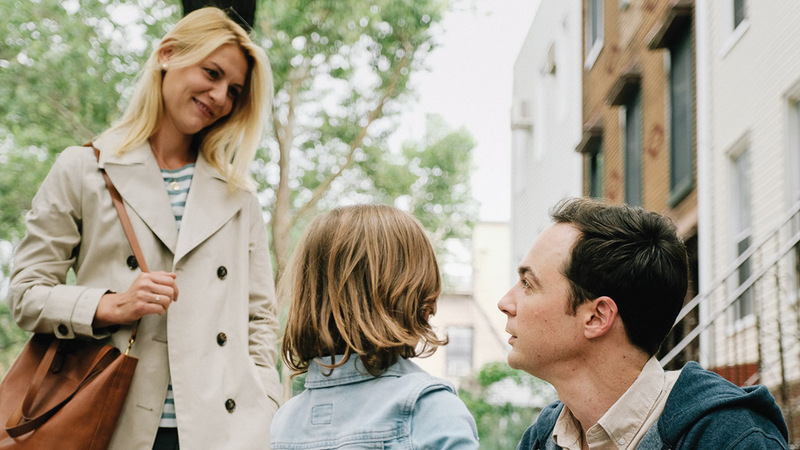 Alex (Claire Danes) and Greg (Jim Parsons) are the parents of Jake (Leo James Davis), a four-year-old who likes to dress up as in princess costumes and isn’t into many of the childhood interests traditionally favored by young boys. As his parents begin the preschool application process, they are encouraged to describe what makes Jake special. Greg seems concerned that Jake is acting out because his behavior doesn’t conform with that of his peers and he may be realizing that, while Alex hits back at the notion that there is something wrong which must be addressed about her son. This is a very timely film, one that trans director Silas Howard said he was proud to make, about someone who can’t easily be defined in an age where being different is okay and becoming far more normalized. Yet there’s still a difficulty in understanding how to go about it, since Greg’s assertion that his son should see someone doesn’t indicate that he believes that his son’s behavior is unacceptable or out of the ordinary, but merely that it should be discussed so that he can feel at home in his life, while Alex believes that addressing it in such a manner creates a stigma that could have irreparable and unnecessary effects on her son’s self-confidence. Danes and Parsons, both Emmy winners known for extremely different TV work on “Homeland” and “The Big Bang Theory,” respectively, come together for effective turns as married partners who see eye-to-eye on almost everything save for how to approach their son’s behavior. Supporting performances from Priyanka Chopra, Octavia Spencer, Amy Landecker, and the young Davis himself, who has a similar real-life story, all contribute to a well-positioned cast to bring this story to life. This is not an easy film, but it’s one that addresses an important subject in the only real way possible, to show people struggling with how to make sure that, above all, their son feels loved and accepted for who he is.